2019 desktop calendar, each page is different! -------------------------------------------------- ---------- ⚠ Depends on personnel costs and consumables⚠ ❗ The design hall is under NT$100 (excluding shipping) and does not ship ❗ ⚠ If the invoice is to be sent separately, please go to the following product page to fill the postage fee. 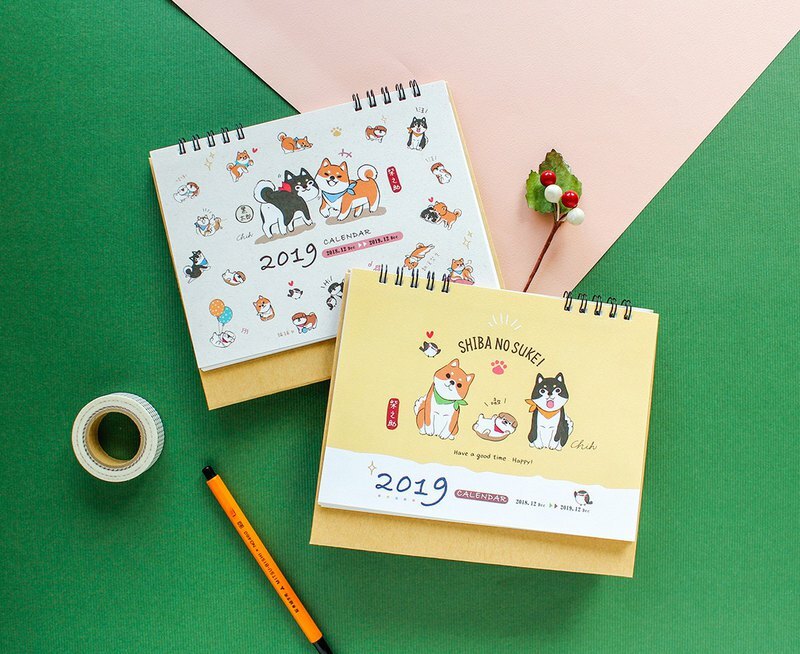 https://www.pinkoi.com/product/HeUp4qVk -------------------------------------------------- ---------- 【Product specifications】 Product Name: Chai Zhizhu / 2019 Desk Calendar. Calendar No. : SBC-29 Size: 150 x 170 x 78 mm ★ The month is 2018.12 - 2019.12 ★ Festival / Lunar Calendar ★ Each page is a different illustration of Chai Zhizhu ★ The illustrations are all glazed and touched. ★ The paper is not smooth, and the water-based dry pen will not be difficult to write. ★ With calendar / postal code / blank note page ! This product has a calendar writing area on both sides of each page! https://c2.staticflickr.com/2/1912/29987681497_76afa3494d_o.jpg https://c2.staticflickr.com/2/1980/29987682077_d74228bf7f_o.jpg https://c2.staticflickr.com/2/1941/29987681637_cd671ea909_o.jpg ! It's normal for the screen to have a slight color difference with the entity. If you mind, you can go shopping!